Stephan Ottenbruch, CEO & Co-Owner of Life Entertainment, Berlin, commissioned and produced more than 30 feature films (most of them for TV) and several series, such as the award-winning The Pact and Girls From Russia or comedy features like Return Ticket To Love and Tasted Man, before he moved on to the production of media events like The Dream Of Zanzibar and the production of feature films, TV movies and series with Life Entertainment. And he was quite successful - having market shares between 18 and 24%. With The Dream Of Zanzibar he claimed German comedian Oliver Pocher to be head of the Zanzibar National Football Team. After having produced films like Pretty Man and Hunting for Love or TV series like Kookaburra he is moving the development of films like Save our Souls, The Internetstar and A Piece of Fortune or series like The Healing Men and Go for Gold. In 1999 Stephan Ottenbruch founded the initiative Sat.1 Talentsfor the network Sat.1 which turned out to be one of the most well known& recognized initiatives in Germany to train young talents bringing up awards like First Steps & workshops like Actors & Talent Class. 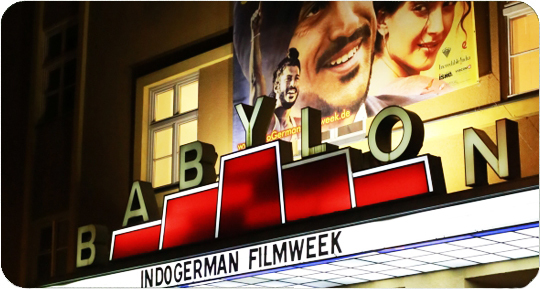 In 2011 he build up the IndoGerman Initiative with MAMI (Mumbai Academy of Moving Images) & set up the IndoGerman Script Development Workshop to gather some of the best screen writers, directors and producers from India and Germany to train young writers &to work on cultural exchange & Indo-German collaboration. The first workshops took place before the Mumbai Film Festival & the Berlin International Film Festival.